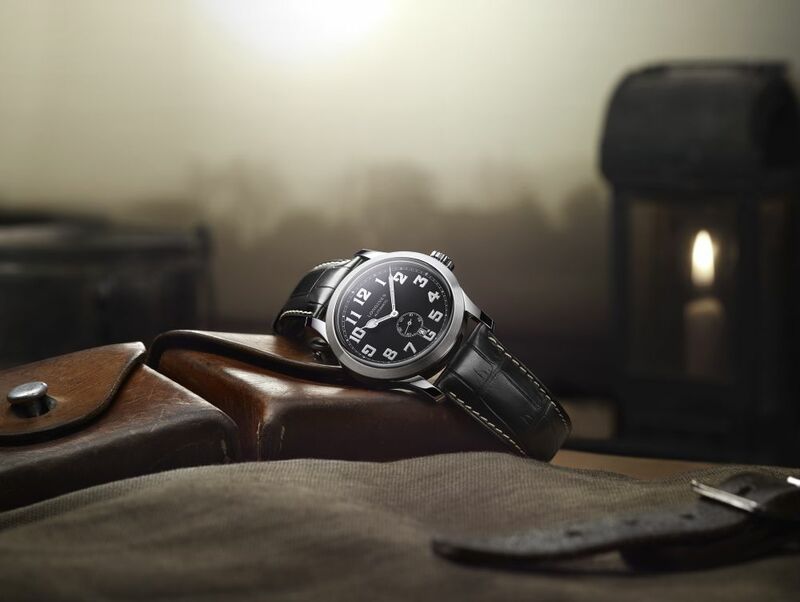 Longines has released the latest member of its Heritage Collection -The new Heritage Military Watch. The new model is inspired by a vintage timepiece from 1918. 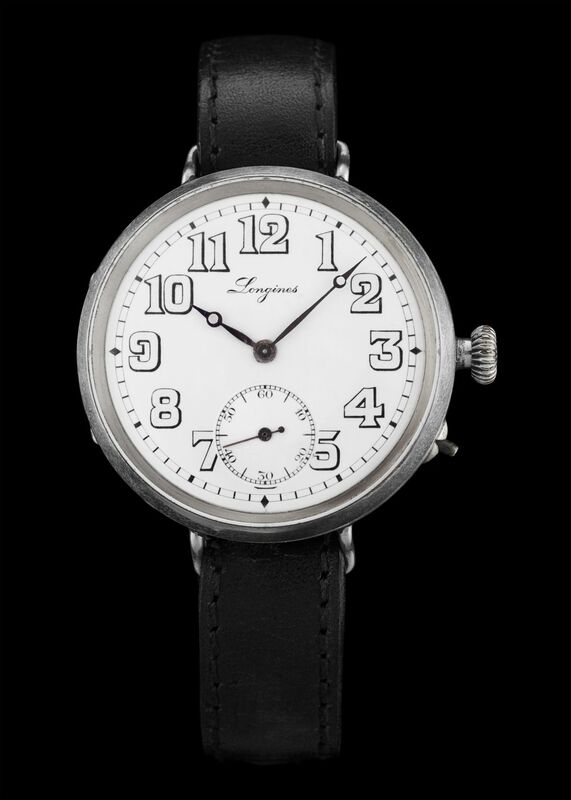 Present at the brand’s museum, the vintage version sports almost every typical feature of its era; like a durable stainless steel case, Arabic numeral dial for utmost legibility, onion shaped winding crown and Breguet style hands. We are safe to say that the modern version look pretty similar to the original version, though with some technical and visual upgrades. First, the modern version is offered in a 44mm stainless steel case. 44mm seems pretty normal nowadays, but considering the early 20th century, it’s not... The dial, which was limited to white color only, is designed in black. The Arabic indices remain the same, but this time they are SuperLuminova coated for better legibility at dark. The hands are also a tad different with the original 1918 version however; they suit nicely with the overall retro looks. The small second dial at the 6 o’clock position is a cool detail. My only negative comment is about the winding crown. Employing a generic winding crown for such a retro looking timepiece was not the best decision. I am not saying that it’s a deal breaker but, I am sure the watch would look absolutely stunning with a classic onion shaped winding crown. The new model is powered with the brand’s Caliber Ref. L615.3. Based on the ETA 2895/2, the hand wind movement offers 42h of power reserve when fully wound. 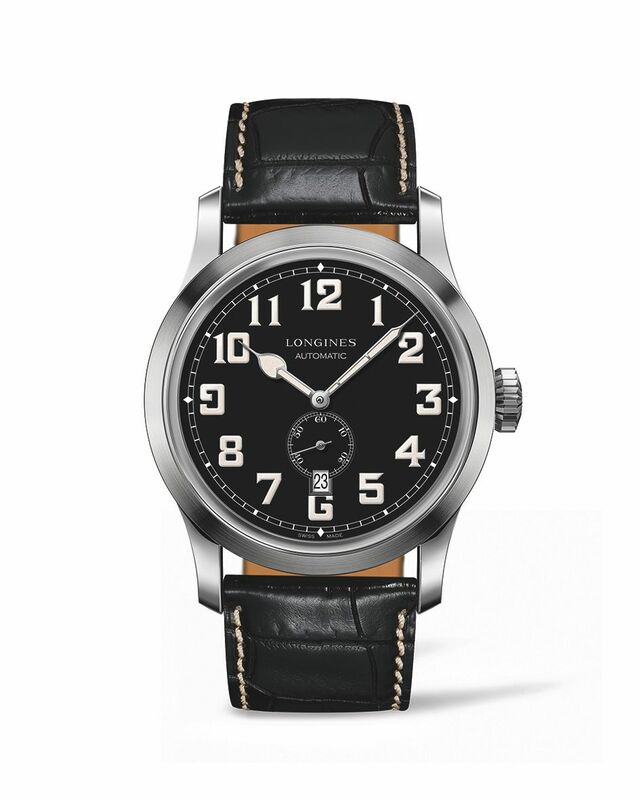 The Longines Heritage Military comes on a black alligator strap with contrast stitching and a stainless-steel pin type Longines signed buckle. The watch is water resistant to 30 meters. This latest member of the Longines Heritage Collection is retailed for 2050, 00 USD and expected to hit stores and sales corners in November 2016.